Our Story has unfolded significantly since we first started our GofundMe. While, the story unfolded, as stories do, from a beginning that seemed certain to a more unexpected turn of events, please read the updates to know the most current update for the boys. Right now, Calvin goes for Intravenous Immunoglobulin Infusions (IVIG) ever three weeks. Each infusion is hours long and we head to Children's when I get off of work from 4:00pm-9:00pm, which is exhausting, but he is so positive and strong. These infusions battle his primary immunodeficiency disorder, "Common Variable Immune Deficiency", "Hypogammaglobulimia", and "Specific Antibody Deficiency." Doctors have gone back and forth on whether or not Calvin also has a incurable lung disease known as, Primary Ciliary Dyskinesia, but we are STILL in the process of figuring that out as Teddy came back as a definite disease carrier and with Calvin's presentation, they are retesting him as it is likely he has this disease as all doctor previously diagnosed based on his clinical symptoms and genetic results. Calvin also suffers from Idiopathic Anaphylaxis, but we seemingly have had that under control as of recent. If you have read the updates, many of you know that Teddy is not doing as well as Calvin. The list of his struggles are too long to discuss at this time, but we are currently dealing with bone marrow dysfunction, which is significant as he came back positive for a genetic mutation of VUS known as SAMD9L on a bone marrow failure panel, which predisposes him to a condition known as Monosomy 7 MDS, which has a very poor prognosis. 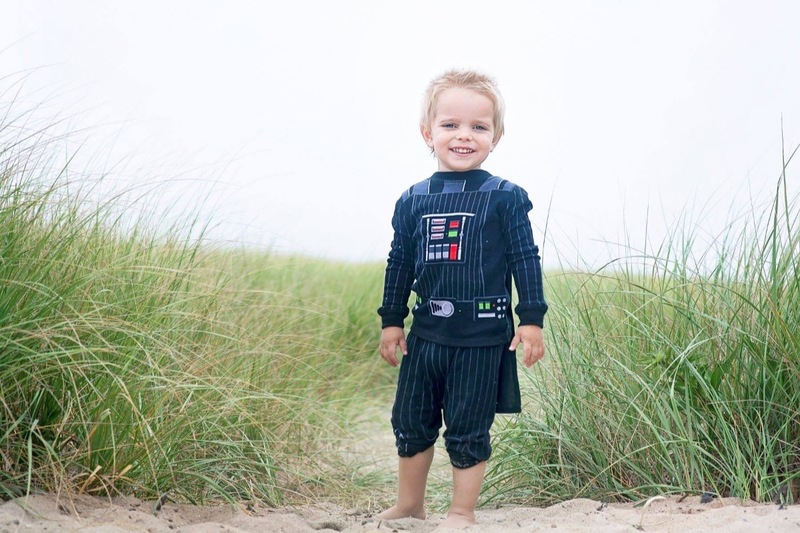 His marrow was normal last year, so initially, doctors thought there was a chance he might not develop marrow dysfunction, however, last month, his pathology report showed he likely has MDS as his results showed hypocellular marrow changes and dysmyelopoiesis. Inherited Pediatric MDS is extremely rare and poorly understood. It is often fatal. 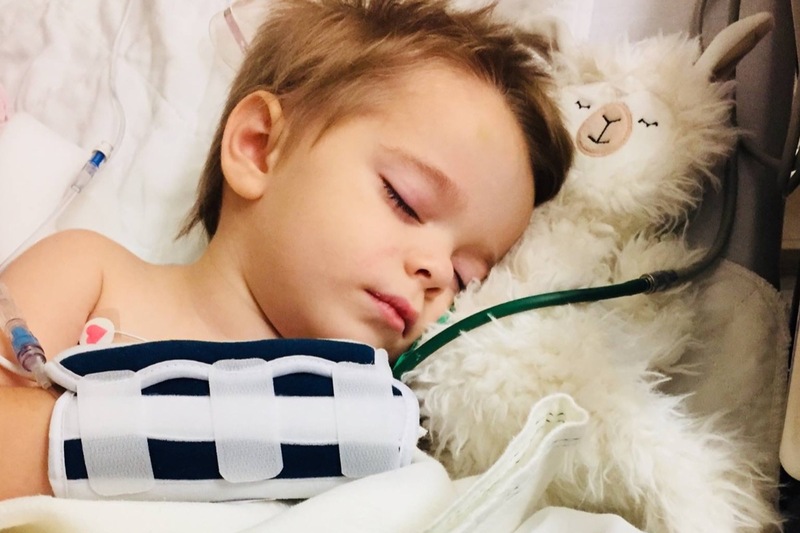 We don't know much about Teddy's prognosis other than his pathology was abnormal last month and that he was immediately accepted into a clinical trial at St. Jude for inherited pediatric MDS. Teddy either has MDS with high risk for Acute Myeloid Leukemia with poor prognosis, or by some miracle, could have a less extreme condition that is affecting his marrow. Nevertheless, while less severe and not fatal, is still serious. He is clinically very symptomatic and the only cure is a Bone Marrow Transplant if St. Jude concludes he is in fact in bone marrow failure. We won't know any confirmed type of diagnosis or confirmation of type of MDS until he has a repeat (third) marrow biopsy in December and goes to St. Jude at the end of September. 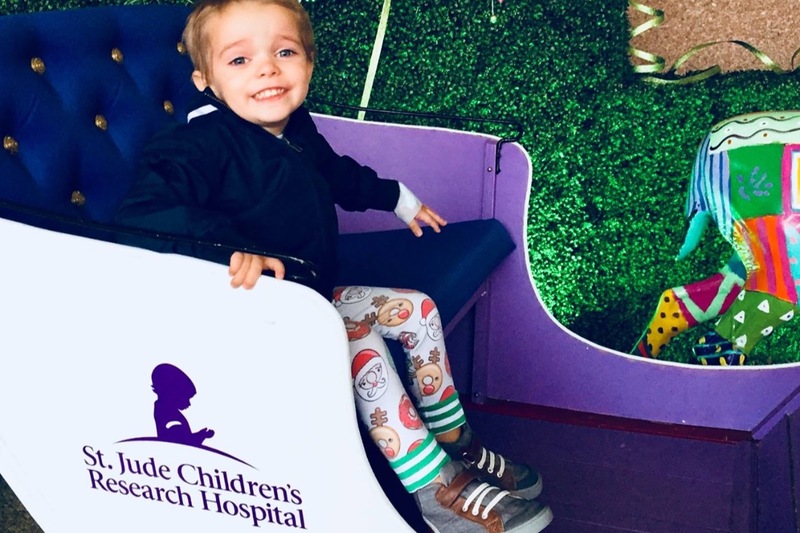 St. Jude will be guiding his treatment plan and Dana Farber's Jimmy Fund Clinic will be carrying out most of his treatment here in Boston, whatever that may be. Sadly, we also found out Calvin will need to be a patient at St. Jude too as the team wants him to be tested for the bone marrow failure to see if he has Teddy's mutation and needs monitoring or a marrow biopsy. This breaks my heart, but I know we have the best of the best looking after my boys. It's just hard because my mother has Lymphoma and Breast Cancer, and my boys are so ill. They are fighters though. And inspire me constantly with their positivity. Teddy also battles intestinal malabsorption, pancreatic insufficiency, failure to thrive, skeletal dysplasia, severe hypoglycemia that has led to metabolic crisis (where we almost lost him last month the hospital), muscle weakness/low tone/poor balance/poor endurance, (requiring weekly PT and bilateral leg braces), and most likely a wheelchair for school. 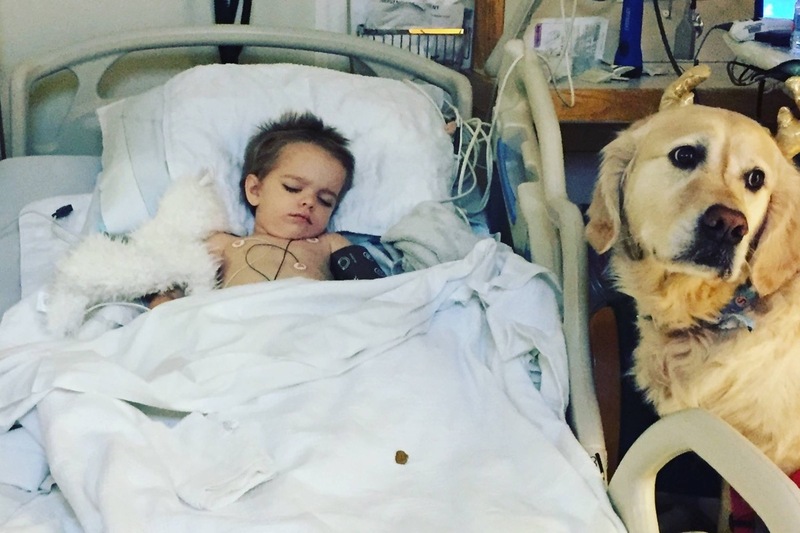 He suffers from epilepsy, is back on his G-tube, and suffers numerous infections and constant fevers, including a ten week fever just months ago, despite being in isolation, that landed him in the hospital. He endured brain surgery last year and just came back with a positive gene mutation on PCD testing and will undergo a biopsy to determine if he is just a carrier of the disease or if he is affected by PCD, an incurable lung disease, and has this marrow dysfunction. Good news is while last year he had severe pulmonary edema and inflammation, his recent CT-Scan showed no permanent damage! Nevertheless, this poor taco has endured over 15 sedated procedures/surgeries, over 10 hospital admissions, two IVIG infusions, 1 blood transfusion, 1 ICU admission, 2 Metabolic Crises, over 15 ER encounters, 1 spinal tap, two (soon to be three) bone marrow biopsies, two rounds of stomach biopsies, countless IV antibiotics, IV dextrose treatments, and others, oxygen for desaturations, weekly OT and PT therapies, feeding therapy, G-tube, NG tube, NJ tube, and over 100 blood draws. It breaks my heart. He's so sweet. They are both so sweet and so good through all they endure. 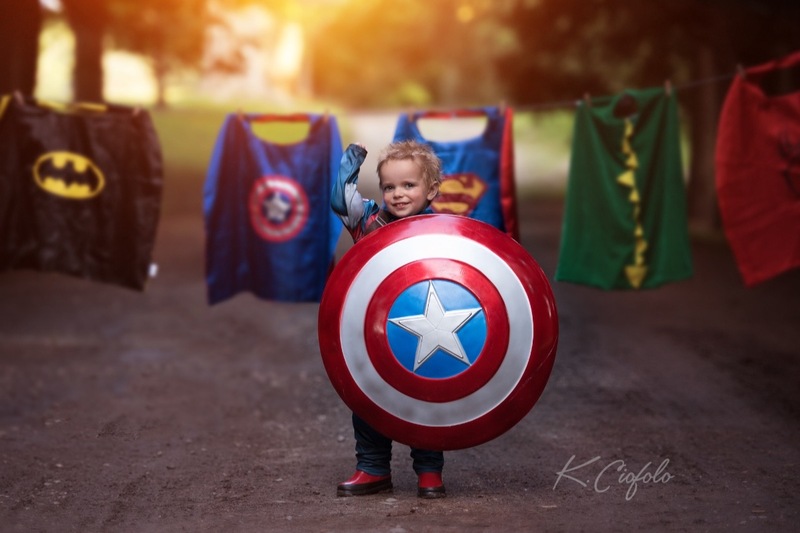 They are three and four and should just worry about playgrounds, super heroes, and cupcakes. Not spinal taps, infusions, surgeries, and biopsies. Please pray for my little bear and my big Kahuna Calvin. As many of you know Calvin has had progressively worsening pulmonary and immunodeficieny issues for the past year. At first, doctors just thought it was the usual daycare illnesses with the increased difficulty of asthma. However, as the year has progressed and as Calvin's medical needs have unfolded, doctors have become increasingly concerned. 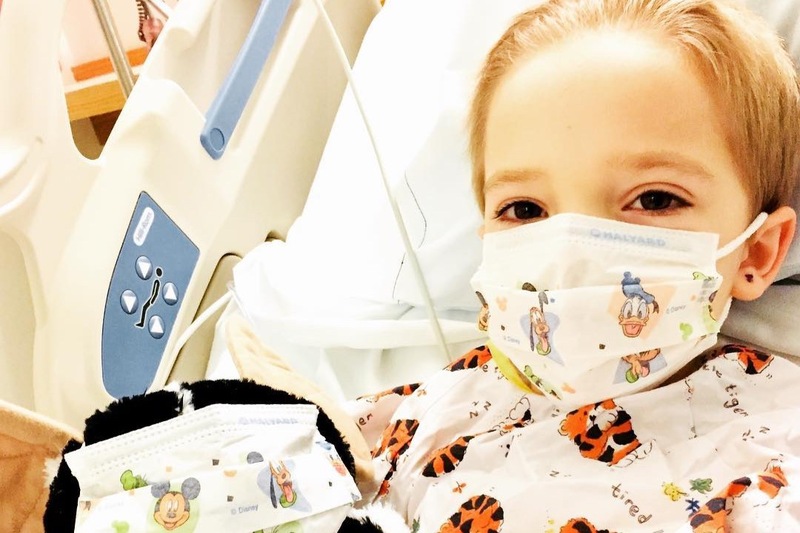 It is now thought that Calvin may be suffering from a condition known as Primary Ciliary Dsykenesia along with a secondary immunodeficiency disorder. This condition, which mimics Cystic Fibrosis, makes the body unable to clear mucus and bacteria from the airways like that of a normal child making the child struggle with breathing issues, low oxygen [hypoxia], chronic cough, and frequent bacterial respiratory infections, frequently progressing to recurrent pneumonia and protracted bronchitis. Calvin has already been through two surgeries, mucus clearance therapy, and will most likely need a bronchoscopy, a much more painful procedure for ciliary biopsies [as well as less accurate] and lung cultures, especially if the noninvasive testing for Calvin cannot be done. This noninvasive diagnostic testing for PCD, as many of you know, Calvin's insurance denied. Calvin's condition, while not curable, could be maintained successfully with an accurate diagnosis and more appropriate treatment. If it is not diagnosed accurately, however, Calvin's airways could suffer irreversible damage. 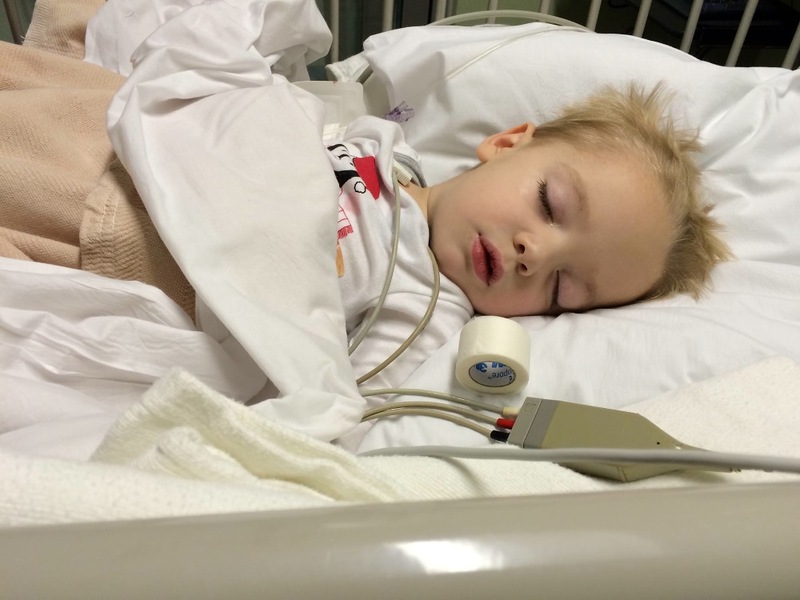 Calvin is already suspected of having tracheomalacia, a type of airway damage, as a result of his illnesses and is now possibly developing bronchiectasis as well. Children who are misdiagnosed sometimes end up needing lung transplants as adults. Calvin has a team of specialists both local and more distant. Right now he has a team of specialists at VCU that requires us to travel to Richmond on a biweekly- monthly basis for diagnostic and treatment purposes. The funds donated would go not only to the genetic testing for Calvin, but to our travel expenses as well. Any amount would help and would be so appreciated! We just want a final definitive answer for our little man so we can start the healing process for him. Even if you cannot donate, prayers, positive thoughts, funny cat memes, and just random encouragement are always appreciated. 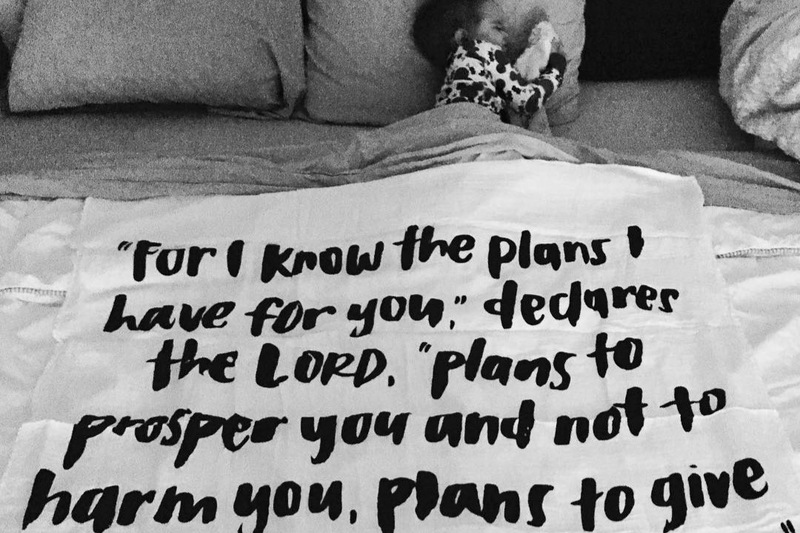 Calvin is already lucky to be surrounded by so many wonderful family, friends, and doctors who truly love and care about him! My little Calvin had his second Cholesteatoma removal surgery a little over a week ago. It was definitely a more invasive surgery with a greater recovery period, but he's such a strong little dude and made it through. He didn't get moved into the PACU until after 7:00pm, so it made for one long day, but all in all nothing eventful happened, which was great and the surgeon did a great job and the anesthesiologist who personally knows Calvin now and does all his surgeries because he knows his airway so well and also adores Cal (and we adore him) ensured there were no complications - he is the best. Little man had to have his Cholesteatoma removed in two parts, have a granuloma removed, and then also get his ear drum repaired & grafted with his own cartilage due to the damage done from the Cholesteatoma. He still does not have hearing in his right ear due to the damage done. 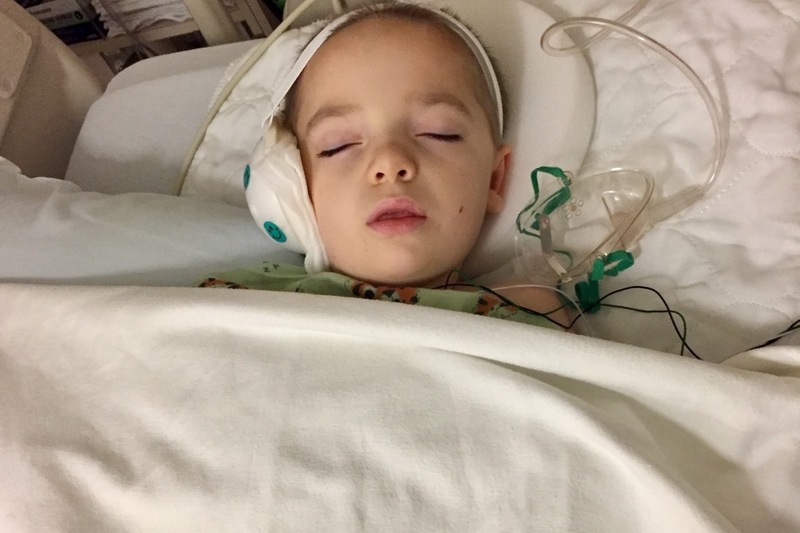 The surgeon said it's too early to know if the hearing loss will be permanent or if it might come back, but he's hopeful that there's potential for hearing to return. So, for now we're just making sure little guy keeps his little head safe and he's so excited to finally return to school today after being out for some time for his surgery and recovery. Currently, we are at the hospital almost daily for the boys outpatient appointments and/or surgical procedures and even just things like the parking, food, and gas alone can add up quickly. Any amount is appreciated. Baby Taco flew out to St. Jude Children's Research Hospital mid-last week and was thrown into a whirlwind of flights and clinic appointments. His first day, Teddy and I got up at 4:00am, had two flights, two taxis, and then had clinic and blood work until about 7:00pm at night. The following day we met with the research team where it was confirmed for the third time that Teddy does in fact have the gene (SAMD9L) that causes an inherited bone marrow failure disease called, "Monosomy 7 MDS," which we knew since last year. The disease is so rare and new to research, especially in the United States, that, at this point, almost everyone with the mutation, is considered to have a VUS mutation. Research only began being published in roughly 2016 and there are less than thirty children alive with this inherited blood cancer presently making it that much more difficult to research and receive care. Baby Teddy Bear returned home from St. Jude's on Saturday night. We all had Sunday at home and then on Monday Teddy and I headed into Children's where he was admitted onto the Hematology/Oncology floor to prepare for his third bone marrow biopsy and aspiration and another GI surgery with dextrose due to his blood sugar issues. He had these surgeries Tuesday and had a visit with a therapy "reindeer" that stopped by the hematology/oncology unit while he was being weaned off his dextrose post-surgery. Finally, after a long week of Hematology/Oncology care and discussion(s), our baby bear, was strong and stable and ready to come home, so happy to say we're all under one roof for Santa to come visit the boys Christmas Day! Say a prayer for Calvin, who had surgery and scans over Thanksgiving. We found out, unfortunately, some very unexpected news, which is that Calvin has been referred to a very specialized doctor, world renowned, for removing the type of mass that started in Calvin's ear from a mere ruptured ear drum from an infection (seems common, right?). He, as most of you know, is a bit more prone to ear infections, due to having the immunodeficiency disorder, "Common Variable Immune Deficiency" and Airway Clearance Disorder/Chronic Lung Disease, but we and his team have taken all preventative measures to try and prevent infection as best as possible (i.e., plasma transfusions every three weeks -although the dose could and probably should be increased - and had -and has had since 15 months old- ear tubes placed to assist in the draining of ear infections), which means the infection, theoretically should've drained instead of building behind the drum and causing a rupture in the eardrum. However, Calvin also suffers from "Eustachian Tube Dysfunction," which means the pressure in his middle ear is not equalized, and thus, his ear drum is weaker than it should be due to unequal pressure in the middle ear. Anyway, the theory from his ENT, is that after this ear infection ruptured his drum, a mass of abnormal cell growth spread opportunistically around the weak spots of his tympanic membrane opening, pulling inward toward his middle ear, which is incredibly rare (she has only seen one other kid that has presented like Calvin did). Prior to surgery, she told me she was confident that the abnormal growth of cells was localized to his eardrum and that no abnormal cells had spread inward to the middle ear, but he still needed immediate surgery to remove the abnormal cell growth in order to prevent rapid growth and spreading further inside his ear because if left untreated these abnormal cells cause brain abscesses, meningitis, permanent hearing loss, and even death and is very serious. Once on the operating table Wednesday, however, Cal's ENT, (who we love dearly), came out and said she had to stop surgery after removing just the outer layer of abnormal cells, sent them to pathology, and needed to send Calvin for an immediate CT scan to see how far the abnormal cells had spread. While Calvin was under anesthesia, she could use tools that she couldn't use in her office to examine Calvin because he's so young to look that far in his ear and she could see that the abnormal cells had, in fact, spread in rather large quantities, entirely behind his eardrum, completely covering his air-filled space and most of his middle ear and that she needed to refer him to a more specialized surgeon for a second surgery to remove the rest. 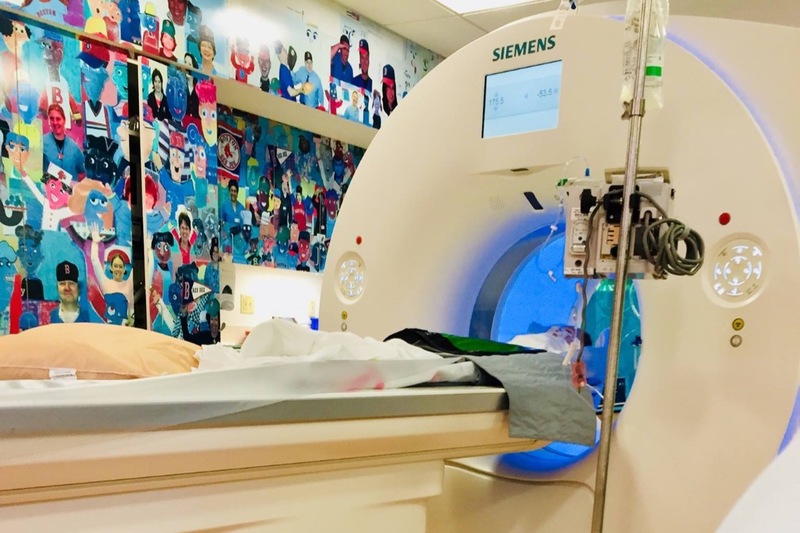 She prepared us that she expected the CT Scan to show more damage that can't be seen with tools and can only be seen via scan just based on what she observed in the operating room and to prepare for him needing skull and brain surgery fairly soon, within the next few weeks. Calvin was admitted inpatient overnight and we received his CT results the next morning on Thanksgiving while at the hospital, which confirmed all three of his hearing bones were completely eroded by the mass of abnormal cells and replaced by layers of these abnormal masses. The abnormal cells had begun spreading within his inner ear and eroding parts of his auditory nerve, although, thankfully, it didn't sound like all of the nerve had been eroded as of Thanksgiving. His mastoid bone, which is part of his skull and a bit more of Cal's skull base had been reached by these abnormal cells and already showed signs of moderate erosion and of masses. Sadly, Mr. Calvin will have to undergo a much longer and invasive surgery in about a month to open up the base of his skull, behind his ear, in order to access the main area of the skull base where part of this abnormal growth is, and hopefully remove all of it in one surgery, and drain any fluid or infection from the skull area due to the proximity to the brain. During this surgery, the surgeon will also repair his tympanic membrane (eardrum) with a muscle or tissue graft, and maybe *fingers crossed* try to reconstruct whatever can be salvaged with a bone graft of his hearing bones, but I have to wait until I meet with the surgeon next week until I can even see if that would even be possible with the degree of erosion that has occurred. As for Calvin's hearing, the current plan, (the last I spoke with his ENT), is to meet with the deaf and hard of hearing communication team next week, as he does not have any conductive hearing in that ear, and to get him a hearing aid asap, as it is not predicted his hearing will ever return due to how much damage has occurred. Although, our new surgeon specializes in Cochlear implant placement and since he will be operating in the same area of the brain where the implant is placed, I plan to discuss the pros/cons of that with him as well and to see if that might be a possibility if his hearing loss is truly permanent. Please keep Big Calvy-Corn Flakes in your thoughts & Prayers as we navigate this medical journey and pray for NO brain, spinal, or cranial nerve involvement while we wait for surgical removal of the mass of abnormal cells. 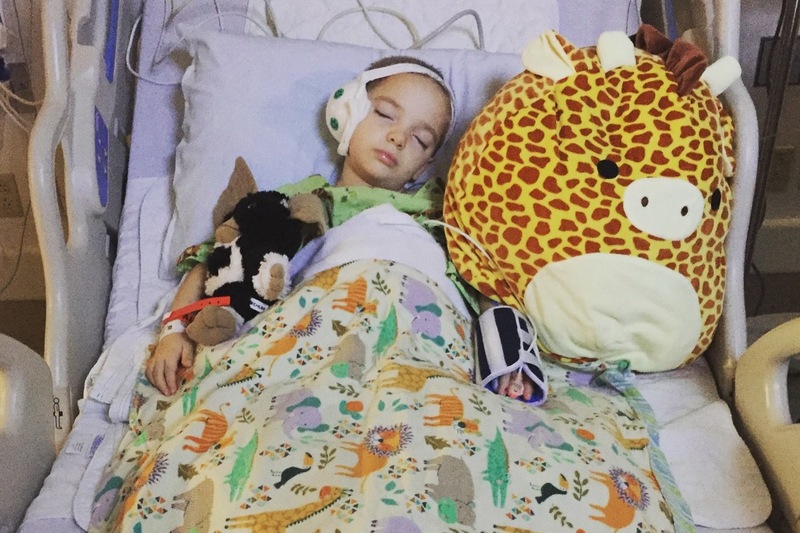 (Surgeon will likely opt to do an MRI next week to ensure no cranial involvement due to Calvin's fragility and the risk for meningitis and spinal and brain abscesses). And please keep our E-N-T-I-R-E family in your thoughts as Mr. Taco heads to St. Jude's Children's Research Hospital in two weeks, and then two days later goes inpatient at Children's for his bone marrow biopsies and a GI surgery, (hopefully he is discharged before Christmas *fingers crossed*). And then...as if we needed another holiday at Children's, less than a week later, my Calvy Bear Cupcake, heads to Children's for skull base/brain, and neurotology surgery and will be inpatient again, possibly even in the ICU, at the end of December and maybe even over the New Year...we don't have exact dates yet. (Happy 2019 -_- ). Oh, and yea, we'll have all our usual outpatient appointments and plasma infusions mixed in within all that. Most regrettably, I am out of FMLA very soon and will likely be terminated. My babies come first though. And what is fate or God's will is out of my hands. We will get through this and once stable, I will be working again, but until then. We will just have to use prayer to find a way to make it through. It has been a most challenging time, however. Waiting for our rainbow. Praying it comes soon. If everyone could keep our little Teddy Bear in your thoughts and prayers, we'd appreciate it. Recently, he had to have his seizure medication increased by his neurologist, and as of this week, he's started to have unbearable GI pain daily that we can't seem to get under control with his current medications. If you're inclined to prayer, please say a prayer that our little baby taco finds relief from this pain. This week has been one of the worst in terms of pain for Teddy. He's never been one to cry with pain - he sometimes breathes hard, rolls back and forth and moans, or just silently bears it while laying down in bed, but this warrior of mine rarely cries from pain. Both boys are like that, actually. They are so strong. So much stronger than I could ever be. I truly believe they get their strength from positive experiences, supportive loved ones, and uplifting memories we've been blessed with during their medical endeavors. I uploaded some pictures and a video to this update that personally make me smile and are presently encouraging me to stay strong and positive for Teddy. I hate seeing him in this amount of pain. It's heartbreaking. And, as a mother, the worst part is being helpless at times to make him better, "fix it," or bring him respite from the suffering. 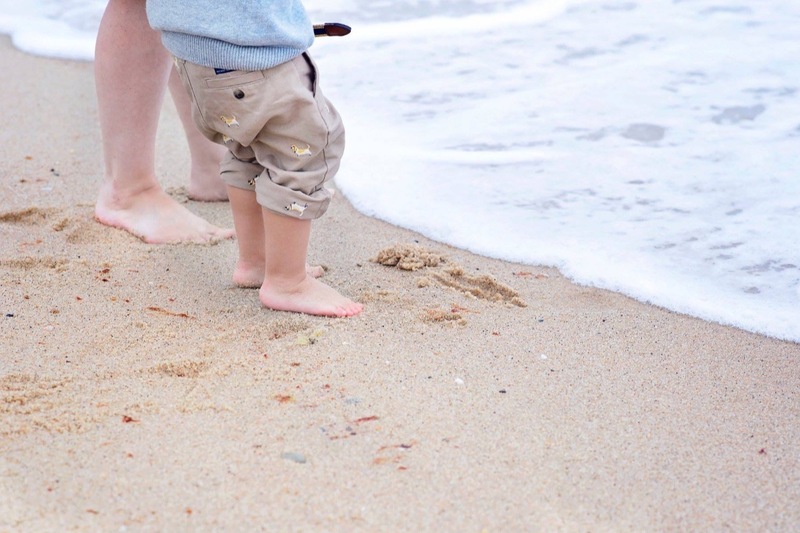 I like to see the Teddy captured in the video and pictures in this update (and I'm sure Teddy) wishes everyday was like Nantucket, (where these pictures were taken this August by a lovely non-profit and a photographer, who has now become one of my closest and dearest friends). Nantucket is Teddy's most favorite place to relax (other than Red Sox Stadium/Fenway, of course!) Or, on weeks and days like this, I like to reflect on the wonderful time Teddy and our whole family spent at "Island Dolphin Care," a non-profit organization, that provides dolphin therapy to those with disabilities or other illnesses with actual licensed occupational therapists. Thanks to his amazing pediatric GI, (who not only has helped him tremendously in terms of his GI issues and overall quality of life), for nominating him through Make-A-Wish to have his dream come true to swim with dolphins and "get a kiss on the cheek from a dolphin because that would just be so funny," as Teddy stated during his wish interview in June. His therapy dolphin at "Island Dolphin Care" for three days was a dolphin named, "Squirt," (in the video below) and his Occupational Therapist was, "Miss. Taylor," (in the video as well) who will forever hold a special place in our family's heart, especially Teddy's. Miss. Taylor connected with Teddy in ways others cannot in such a quick period of time. "Island Dolphin Care" allowed us to have a few precious moments with our Teddy where he was pain-free, smiling, giggling, carefree, and happy. A snap-shot and glimpse of what a three-year-old boy should feel like everyday. It allowed him to just be a kid for a few days without hospitals and doctors and needles. It was such a blessing I wish we could replay on an endless cycle of "repeat." Unfortunately, he was only pain-free and feeling "like himself" for a limited duration of his wish trip (Days 1-3) and had to miss out on some other parts of his wish, like the Turtle Hospital, but despite that, those smiles and giggles in the video, are what get us through hard moments like now. Hoping with some positivity and help from his specialist he will (fingers crossed) have some relief soon. It's just so unfair to watch a a little three year old boy go through such pain. Pain most adults could not even bear. Please pause and take a moment to think of Taco Ted today, if you can. Kendal, you are the strongest momma I know. You and your family are always in my thoughts and prayers. Stay strong! Prayers for your little man and your family. We are keeping you and the boys in our prayers.